Non-combustible – Aluminum is a safer option over other materials where fire is potentially a hazard. Rolled aluminum alloys generate no dangerous emissions when exposed to heat, and do not burn. Corrosion resistant – When exposed to air, aluminum forms a natural, transparent oxide film, protecting it against further reaction and corrosion. 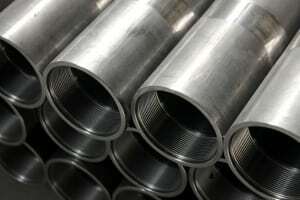 Certain rolled aluminum alloys will maximize corrosion resistance for certain applications. Non-toxic – Rolled aluminum alloys are non-absorbent, easily cleaned, and non-toxic, making them well suited for products that will be used in food applications. Roller Die has extensive experience in aluminum roll forming, and is capable of handing both small and large scale projects for a variety of industries. Our engineering team will work with you to produce your design to your precise specifications. Contact us to discuss your aluminum roll forming project. We will ensure the aluminum or aluminum alloy we use is fit for your unique project, at a price that fits your budget.